Sometimes the most important people are never seen, and seldom heard. As a society, we’re enamored with the larger than life personalities that tend to dominate movements. They often tend to be the faces and public personalities, but they are always supported by the lesser-known, but no less effective stalwarts and behind-the-scenes activists and workers who get the day-to-day work done. That’s unfortunate because in a perfect world, everyone’s contributions would be equally celebrated, but it’s an artifact of western culture to focus on individuals while ignoring the communal efforts that lead to transformational change. Ella Baker’s career as a civil rights activist spanned almost 50 years and she worked with three generations of civil rights activists. She worked with such luminaries as WEB Dubois, Martin Luther King Jr., and Thurgood Marshall. She also was a mentor to younger activists such as Rosa Parks, Diane Nash and Stokely Carmichael. 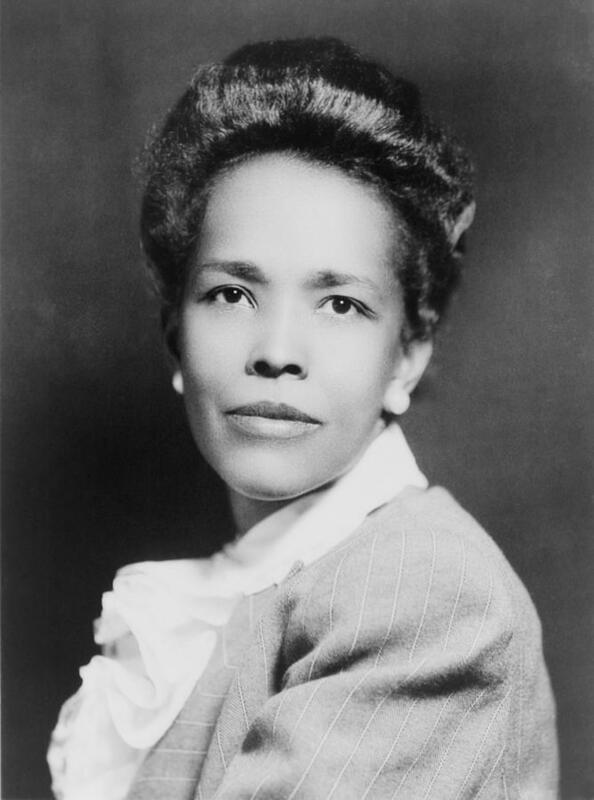 Ella Baker was born in 1903, the grandchildren of slaves and as a young girl, the stories her grandmother told her of her experiences being a slave made a huge impact on her. From a young age, she involved herself in the nascent civil rights movement. She focused strongly on grassroots approaches and empowering individuals to make their own change. This approach hugely influenced the civil rights movement. Her idea of ‘participatory democracy’ was her guiding philosophy. The idea was radical at that time, but she never wavered from her view that true change must involve everyone and she was strongly critical of the hierarchical and strongly male dominated structure of most activist organizations. Between 1938 and 1967, she was involved with the NAACP, the Southern Christian Leadership Conference, the Student Nonviolent Coordinating Committee and the Southern Conference Education Fund. She held numerous leadership positions within these organizations and contantly pushed to make them more democratic and grass-roots oriented. She was an intensely private person who preferred to remain out of the spotlight and her important role in the Civil Rights movement is sometimes forgotten as a result. She remained an activist until her death in 1986. I really admire her understated style. She never yearned for the limelight; she was just very quietly effective. She treated everyone with respect and was hugely influential as a result. Her emphasis on empowering individuals to make their own change is something that is sorely missed today.